The modern-age contact centers focus on attaining maximum customer satisfaction. From making the best use of the available resources to going beyond their scope to make their customers happy, the agents at these contact centers ensure that every query raised by their customer is heard and an optimum solution is offered. It is well-known that a customer may contact a contact center via numerous modes of communication such as telephone, email, chat or social media. Of these, the telephone is the most preferred mode of communication. According to Microsoft’s 2017 State of Global Customer Service Report, 74 percent of the customers contacted customer service by phone. A typical call involves an exchange of dialogue or audio conversation between two individuals, basically a customer and an agent. 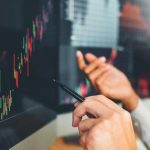 For a meaningful and relevant analysis of these recorded calls that are a rich source of relevant customer and agent-related information, it is important to know who said what during the conversation. This is where the need of speech analytics tool arrives. 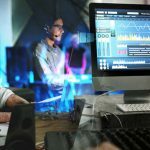 The speech analytics software enables one to create meaningful voice data that may aid companies to grow by helping them improve their services, reduce costs, and increase revenue. With an ability to conduct phonetics-based in-depth searches, this software can easily detect speakers’ emotions as well as other call-related metrics like hold time, silent patches, or agents handling the calls. Even though the call recordings of a contact center have a faster speaker change rate, variation in the speaker’s speaking style, non-speech sounds, and crosstalk, their analysis can help one gain a complete understanding about their customers and the agents. During this analysis, one of the most important functions performed by the tool is speaker separation or segmentation. 1. Identifying the speaker change points in the audio conversation. 2. Detecting the number of speakers. 3. Linking each speech segment to a particular user. For instance, a customer has been calling the contact center for an issue with his phone that has been bothering him for a long time. While getting his complaint registered, the customer gets fed up of answering repetitive questions being asked and hence, gets into a tiff with the contact center agent. However, as per the story shared by the customer, it was the other way round. With speech analytics software, there is nothing to be worried about. Analyzing the call recordings, the software can segregate the entire conversation and help one know the speaker of each speech segment. This, in turn, enables one to easily understand the issues in the entire conversation and the need for training or improvement in services (if any). It is also possible to analyze the non-separated call data using speech analytics software but it is not certain that it would lead to reliable results. 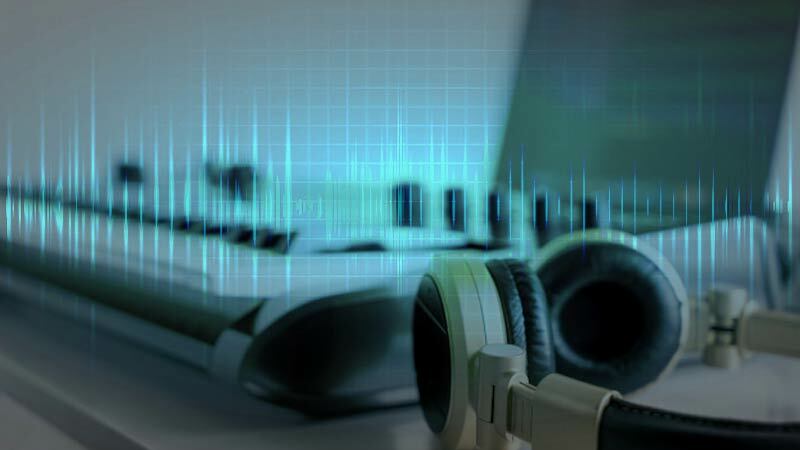 In fact, conducting data analysis without speaker separation may require one to put-in additional efforts to further divide the data on the basis of speaker-based searches and its accurate categorization. One of the key features of SmartSpeech software is its ability to empower its users to separate and group the speaker’s voice under different sections. This is possible owing to its’ speaker separation feature. 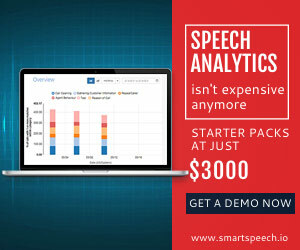 Based on V-Spark’s voice analytics software powered by Voci Technologies, Inc., the SmartSpeech software can separate each individual’s voice by analyzing every part of the recording. The software based-speaker separation is an excellent tool to understand how a call is made and completed. It also allows one to develop a clear understanding about its customers as well as the agents by segregating the entire conversation into different parts. With speaker separation and identifying the exact speakers on a particular audio channel using a refined acoustic algorithm, speaker separation allows for complete speech analysis of two virtual channels separately. This, in turn, assists the attainment of accurate customer and agent data. Determining the factors that helped in attaining maximum customer satisfaction and the ones that acted as a hurdle by comparing two call subsets is also possible. Some of these factors may include common issues faced by the customers, resolutions offered by the agents, average talk time and average hold time. Compliance with legal regulations is another major concern that gets simplified with speaker separation. 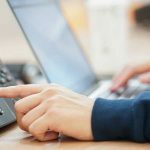 Identifying the speaker of each word and phrase during a call makes it easier to ascertain who stayed in compliance with the predefined legal regulations. It also gets easier to detect the flaws on the part of the agent trying to cross-sell or up-sell the products, hence, reaching out to a wider customer base. Speaker separation not only helps in gaining deeper insights about your customers but it also helps to improve the overall customer experience, customer loyalty and identify the amount of investment required and risks involved in the entire process. No doubt, the development of smart tools like SmartSpeech assists in the delivery of a better customer experience. But, it is important to remember that tools like these are easily customizable and are designed to ease your life and can also be customized to meet your needs. Therefore, opt for a smart speech analytics tool soon and you will be able to not only improve your agents’ performance but also your customer satisfaction (CSAT) score.